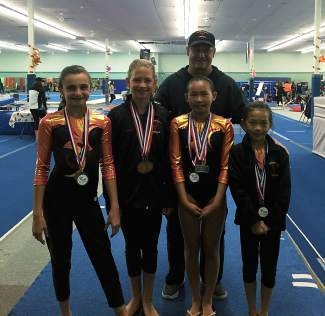 Congratulations to the girls from Phoenix Gymnastics team! They are Payton Bourke, Alexis Barthuly, Katie Novak and Emme Novak. All of them placed at the Colorado state championship.